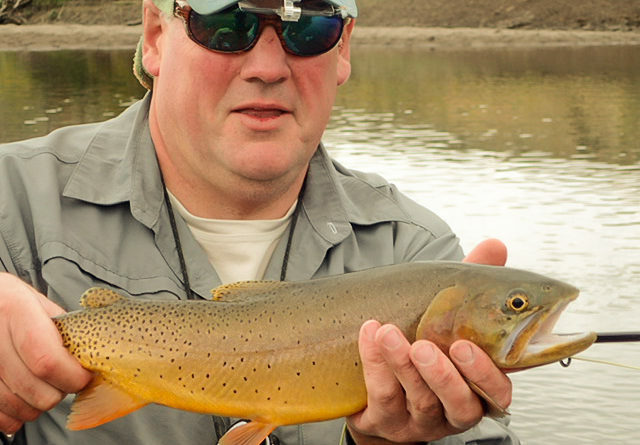 ELLSWORTH — George’s River Trout Unlimited will host a second special meeting in Ellsworth at 11 a.m.-1 p.m. Saturday, April 21, to bring together Trout Unlimited members and interested non-members from the Down East region. The meeting will be similar to those offered monthly in Rockport and will include a presentation by guest speaker Jeff Reardon on Trout Unlimited’s work on salter brook trout in Maine. Reardon will talk about salter brook trout surveys currently being conducted by Maine TU chapters, and will explore opportunities for similar efforts Down East. Reardon will also give an update on TU’s conservation priorities in the Maine Legislature this year. Reardon is TU’s Maine Brook Trout Project director, and has worked for Trout Unlimited since 2000. He grew up in southern Maine, went to Williams College, where he graduated with a degree in biology in 1989, and worked as a teacher for 10 years before joining TU. Trout Unlimited is a non-profit organization with a mission dedicated to conserve, protect and restore North America’s cold water fisheries and their watersheds. The GRTU meeting April 21 will be held at Pat’s Pizza in Ellsworth. Several GRTU Board members will be in attendance. The meeting will start at 11 a.m. and is free and open to the public. Visit with us on Facebook or online at www.georgesrivertu.org for information.